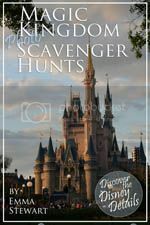 To celebrate the details, I've been putting together some Walt Disney World scavenger hunt ideas and photos for each park. Click on an image below to find each list - feel free to print it out and use it on your next trip! 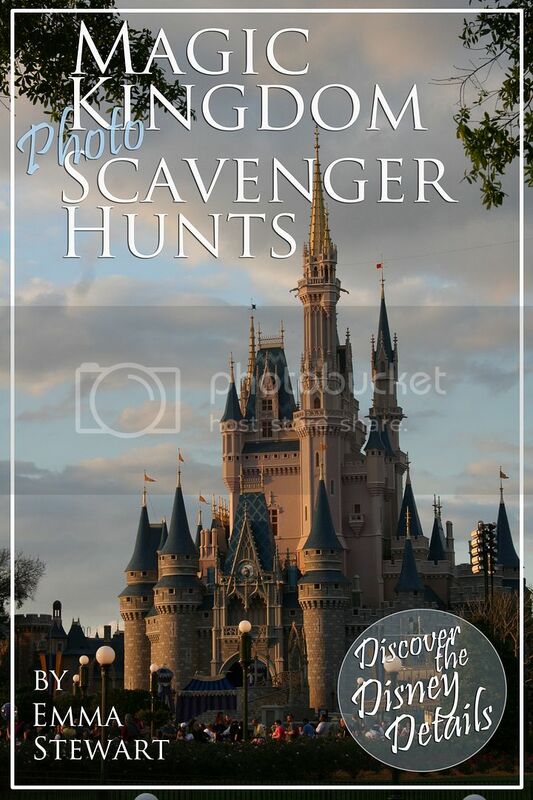 If you really want to test your Disney expertise, check out the Magic Kingdom Photo Scavenger Hunts eBook! It's now available on Amazon for your kindle or any device with a kindle app - you'll find over one hundred photos and a dozen different hunts (including one for each land!). 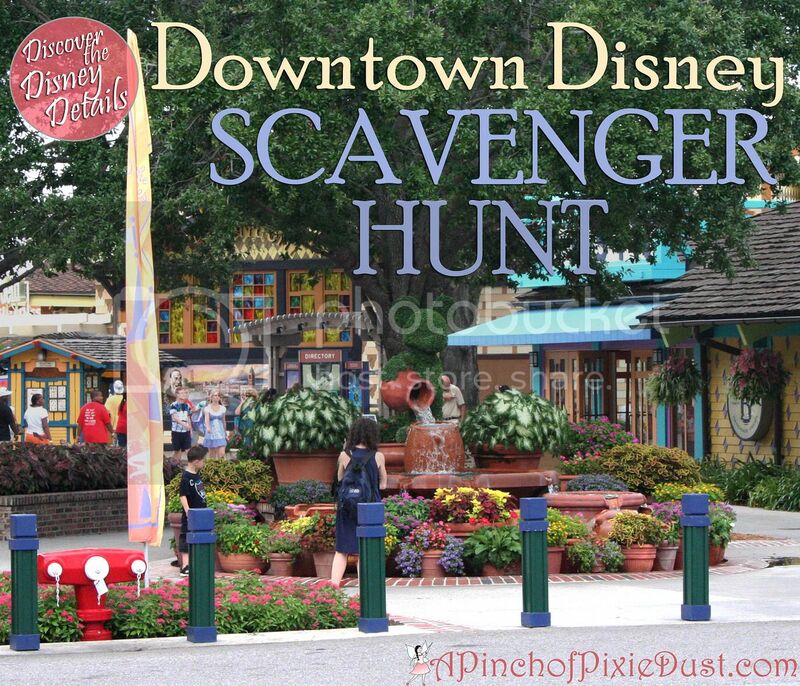 Click over to Amazon to get a preview of the Main Street Scavenger Hunt. 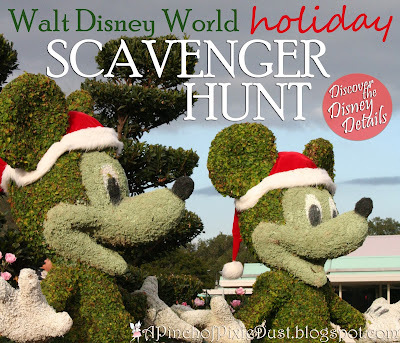 If you're looking to save the cost of a park ticket, check out the Boardwalk Area Scavenger Hunt. The details at the Disney resorts are always AMAZING, especially at the resorts around Crescent Lake! Answer key at the bottom of this page! Another fun way to spend a Disney afternoon without a park ticket is exploring Downtown Disney. Click here for the scavenger hunt - scroll down for the answer key. 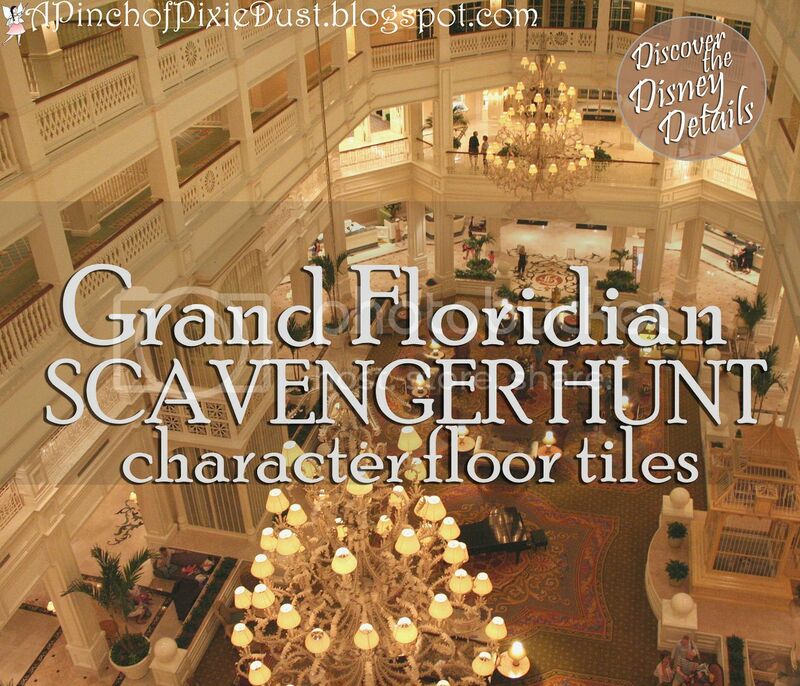 This mini Grand Floridian scavenger hunt will take you through the lovely Disney character floor mosaics and tiles around the main building. I think the Peter Pan tiles are my favorite...or maybe Cinderella and Prince Charming. Which is yours? Scroll down for the answer key. 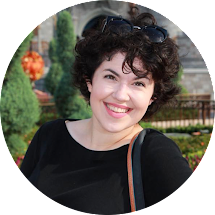 You'll find the World Showcase Scavenger Hunt post right here on the blog - see if you can identify all these international scenes! Scroll down if you're looking for the answer key! 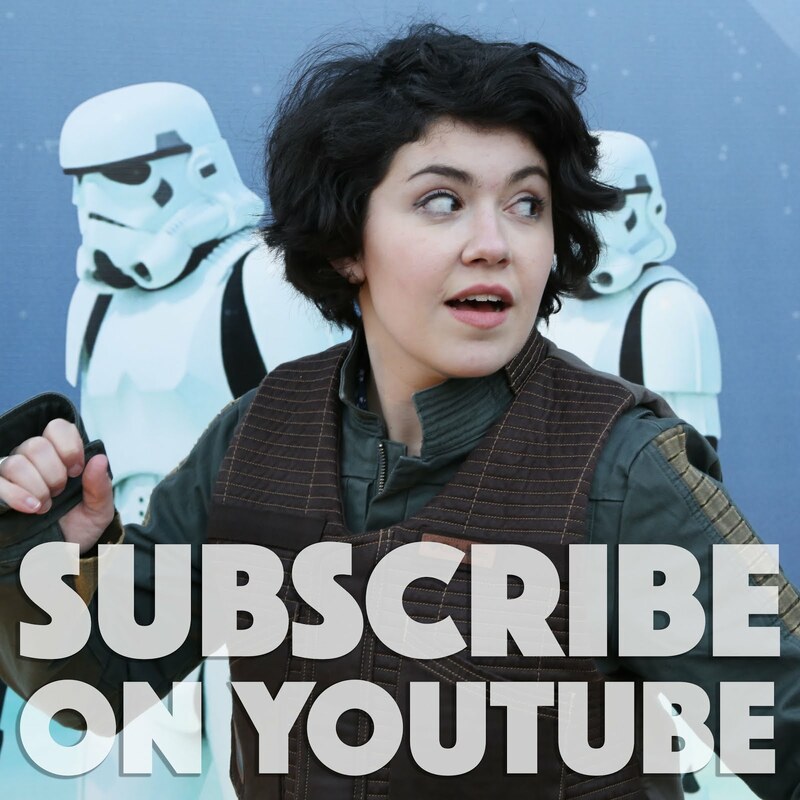 Scavenge through Hollywood Studios to discover all sorts of star-studded details! Once again, you'll find the answer key at the bottom of this post! 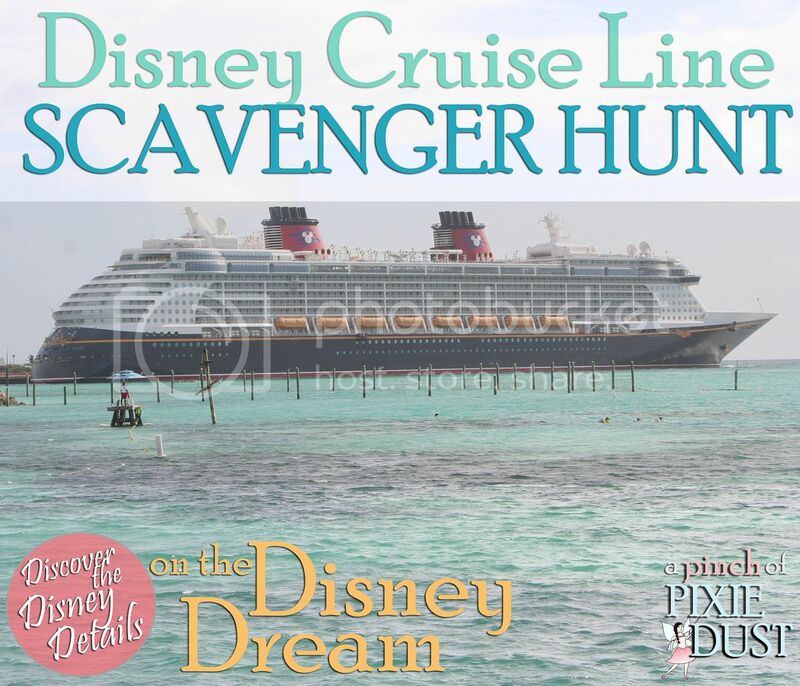 The details continue beyond Walt Disney World...here's a scavenger hunt for a Disney cruise aboard the Disney Dream! 1. The Marketplace boat dock (the other boat docks might have the same sign above them too...). 2. Next to the pin displays and stationery at World of Disney. 3. Above the bar at T-Rex Cafe. 4. On the ceiling in the main room at World of Disney. 5. On the door as you enter World of Disney. 6. Outside Splistville Luxury lanes on the West Side. 7. The ceiling at the store Tren-D.
8. Outside the LEGO store. 9. The tables outside the Ghiradelli shop/cafe. 10. In the window at Little Miss Matched (store in the Marketplace). 11. Part of the architecture outside Once Upon a Toy. 12. On the wall in the dining wares room at World of Disney. 13. In the Basin shop in the Marketplace. 14. In the ice cave at T-Rex Cafe. 15. Behind the registers at Once Upon a Toy. 16. Next to the dressing rooms at Tren-D.
17. Above the ornament displays at Days of Christmas. 18. At Once Upon a Toy. 1. Look up as soon as you enter the Boardwalk lobby (from the port cochere/street side), and you'll find the Hippocampus Electrolier! 2. If you're walking from the Boardwalk to Epcot, you'll find this sign on your right along the way - it's just past Sea Breeze Point and just before the bridge. 3. Hue G. Krazont's establishment is the Boardwalk Bakery! 5. This photo was taken from inside the Screen Door General Store/Character Carnival. There's a big Mickey and Minnie statue for sale in the window! 6. Find the vintage car parked in a corner outside the streetside entrance to the Beach Club Resort! 7. Take a walk over to the Dolphin resort to locate the cheerful striped ceiling! 8. As you walk from the self parking area of the Boardwalk up towards the lobby, you'll see this pretty fountain to your left. 9. Those blue tiles are right inside the doors of the Flying Fish Café. 10. 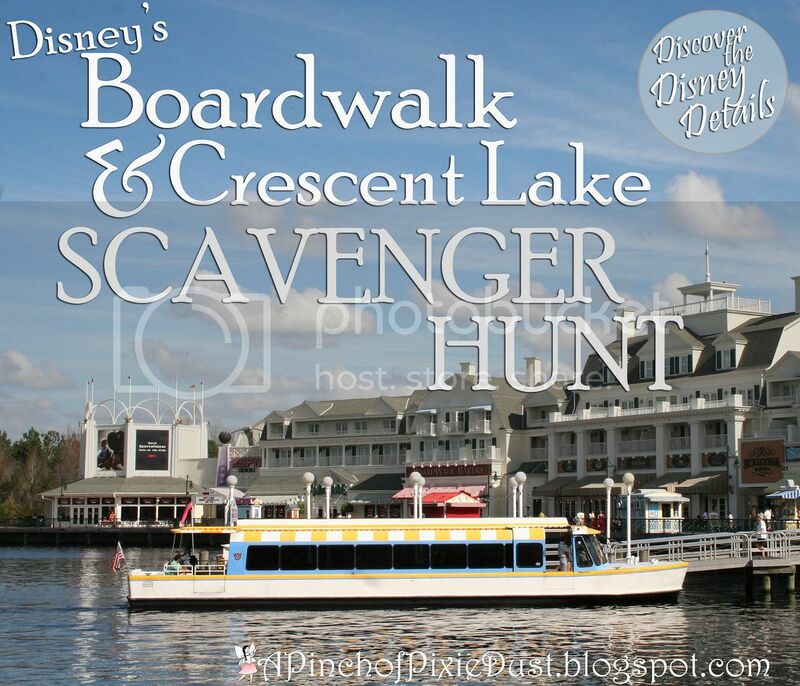 When you're walking from the Yacht Club towards the Swan and Dolphin or from the Swan and Dolphin towards the Boardwalk you'll find this sign. It's right behind Atlantic Dance Hall. 11. Stand at the railing on Sea Breeze Pointe at night to get this view. 12. This photo was taken standing out front of the Beach Club Port Cochere at night. 13. The Ferris Wheel is on the wall inside the Flying Fish Café. 14. Go up the grand stairs at the Yacht Club and follow the hallway that wraps around the lobby on the second floor - these chairs are tucked in a corner overlooking the lobby where the hallway dead ends. 15. Look for the children's tv area in the Beach Club Resort to find these adorable fishie chairs. 16. This elegant map sign can be found outside the Yacht Club on the Crescent Lake side, not far from the lobby and the lighthouse. 17. You'll find the confection sign at the Seashore Sweets Shop! 18. Exit the Boardwalk lobby by the big white French doors and go down the steps - underneath the patio is a cozy seating area with the Adirondack chairs. 1. The big swirly tiles can be found either when entering the main front door of the resort (from the port cochere) or on the second floor when entering the resort from the monorail platform. 2. Find the fab five hidden in the swirls of the big swirly floor mosaic. You'll also find them near the entrance to the Grand Floridian Café. 3. Peter Pan is under the grand staircase, in front of the doors leading out to the DVC area. 4. Tinkerbell is by the elevators on the second floor. 5. Cinderella and Prince Charming are at the foot of the grand staircase, in front of the elevator on the first floor. 6. Mrs. Potts is in front of the Garden View Tea Room. 7. Chip is just down the way from Mrs. Potts, also by the Garden View Tea Room. 8. The rose is just between Chip and Mrs. Potts. 1. That elegant balustrade can be found in Italy, tucked between the Doge's Palace and Tutto Italia. 2. Wander towards the back of the China pavilion; you'll see the telephone sign on your right. 3. Inside the Mayan Temple at the Mexico pavilion, you'll find those little birdies waiting to be bought in one of the shop stalls. 4. The baskets of yarn are in Morocco, near the kidcot station. 5. The bells are for sale at Germany. If you're facing the pavilion, they're in the first shop on your right. 6. King Pretzel is on the bottom of a sign right outside of Kringla Bakeri og Cafe in the Norway pavilion. 7. The pretty tiles and window are at the Lotus Blossom Cafe seating area in China. 8. The mail box is in the America pavilion, directly to your left when you're approaching from Italy. 9. The Quilted Northern sign is also in America, right outside the restrooms! 10. The owl is sitting in the rafters in the waterside seating area at La Cantina de San Angel in the Mexico pavilion. 11. The angel is located in the Italy pavilion, on your right beyond the shops. 12. The mini houses are in a scene from the train layout located between Germany and Italy. 13. The little garden is in the France pavilion; Princess Aurora is often out there! 14. The rocks and mountains are rising above the O Canada! movie in Canada. 15. The display windows are located in the Norway pavilion, right behind the fastpass machines, as you walk into the shops from Maelstrom. 16. The castle clocktower is in the England pavilion. 17. Plume et Palette can be found in the France pavilion, to your right as you're walking up to Impressions de France. 18. That chilly treat is a margarita from Mexico! 1. The Mickey Mirror can be found inside the Writer's Stop. 2. You'll find an apartment to let in San Francisco on the Streets of America. 3. The letter "T" is on a grand marquee in the New York area of the Streets of America. 4. Ride the Great Movie Ride to find this Chicago/gangster scene! 5. Take a moment to appreciate the architecture when you enter the park - this building is just to your left walking down Hollywood Blvd. 6. This dusty chandelier is in the Hollywood Tower Hotel's lobby! 7. Find the Frankie's Formalwear poster right when you exit the Muppets Theatre. 8. The flags are at Catalina Eddie's in the Sunset Ranch food area. 9. The red room is inside the Chinese Theatre, in the queue for the Great Movie Ride. 10. Do some shopping at the Banana Co. Beach Hut - it's part of the LA Prop Cinema Storage shop on the corner. 11. This elegant molding is in the Celebrity 5 & 10 shop, on your right as you're walking down Hollywood Blvd towards the hat. 12. This window is overhead the candy shop Sweet Spells on Sunset Blvd. 13. That swirly tower is part of the Planet Hollywood store's building. 14. The Sunset Ranch sign is in tucked in the food area at the end of Sunset Blvd, to your left if you're facing Tower of Terror. 15. Find this funky rock in the courtyard of the Chinese Theater. 16. Stand at the corner of Hollywood and Sunset to find this light - it's right near the tip board. 17. This statue is in the Hollywood Hall of Fame Plaza right across from Echo Lake, near the American Idol Experience. 18. Sit near the hanging flowers back by Sunset Ranch. 1. The little bug is on a Kodak Picture Spot sign right in front of the Tree of Life. 2. The tiger ruins are located near Yak & Yeti, when you cross the bridge into Asia, they're right in front of you. 3. The window with teeth is in Africa, on your left when you're entering Harambe village. 4. The tree carving is on a door marking the entrance to Africa - right before you cross the bridge from Discovery Island. 5. The door next to the water is part of the monkey habitat in Asia. You pass it if you walk past Yak & Yeti towards Expedition Everest. 6. The weasels are framing a sign for one of the food kiosks on Discovery Island, past Creature Comforts before you get to the bridge to Africa. 7. The stone tiger is hidden in the foliage outside of the Creature Comforts store. 9. The mirrors are on some displays with merchandise right outside of Island Mercantile (the big shop to your left when you're facing the Tree of Life). They're under the Camel-themed entrance if that helps! 11. The Ever Fresh Water is near the fort & cannon (#8) behind Tusker House. 12. The Coca Cola frog is on an ice cream/soda cart - you should find it right after you cross the bridge from the Oasis to Discovery Island. 13. The Hobbes-like tiger statue is standing next to DrinkWallah in Asia - directly to your right after you cross the bridge. 14. Near Kali River Rapids/ Yak & Yeti there's a little permanent hut/shelter where they usually have kid's activities. The lightswitch is right on the wall in there! 15. The chameleon statue is in Asia, next to the Royal Anadapur Tea Company. 16. The wheelbarrow is right next to the entrance to the seating area for tamu tamu refreshments, to your right when you enter Africa. The bench is also in Africa, but back behind Tusker House, just beyond #8 and #11. 17. The crate is at the bottom of a lamp post, partially hidden by foliage, right next to Dino-Bite Snacks in Dinoland. 18. The courtyard can be found tucked back in the seating area for Tamu Tamu refreshements, to your right when you enter Africa. 1. it's a small world gift shop. 3. In front of Sleeping Beauty castle. 4. Seen from steamboat - in Rivers of America. 5. Jungle Cruise loading area. 6. Space Mountain boarding area. 7. Behind Sleeping Beauty castle. 8. The Emporium on Main Street. 9. Outside Mr. Toad's Wild Ride. 15. Outside Diamond Horseshoe Saloon. 17. Outside Tomorrowland train station. 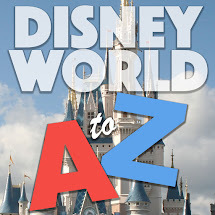 taking grandkids to disneyland and california adventure park . Need a scavenger hunt for each. Please help me.